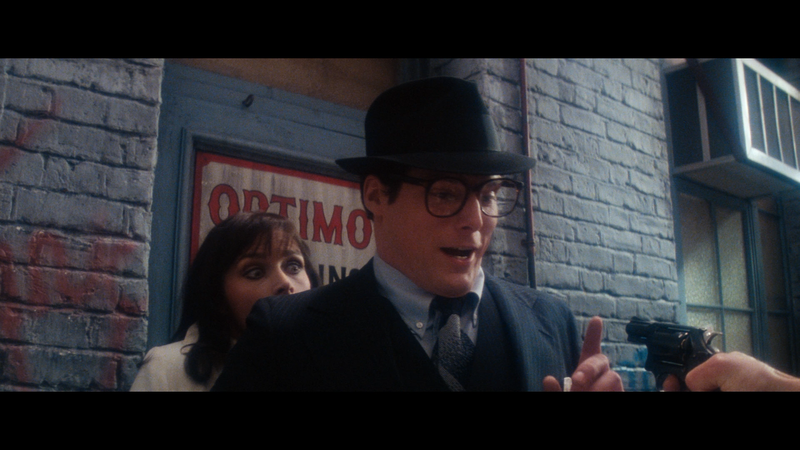 Superman: The Movie is a special movie that perhaps the current generation might find a bit hokey in its innocence, but I think it still holds up pretty well, albeit I’m still not a big fan of some of the goofier moments. Warner Bros. Pictures Home Entertainment provided me with a free copy of the Blu-ray I reviewed in this Blog Post. Note: The screen captures are from the Extended Cut Blu-ray release. 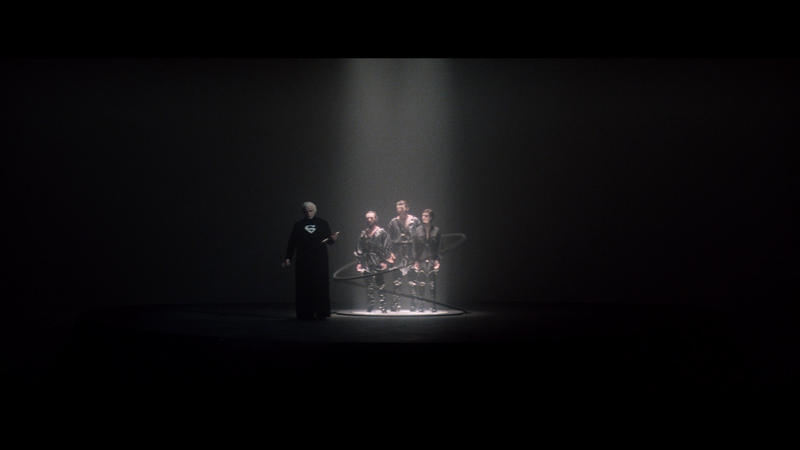 Upon the destruction of Krypton, Jor-El (MARLON BRANDO) and Lara (SUSANNAH YORK), send their only child, Kal-El, off the planet destined for Earth where he will thrive. Years later, toddler Kal-El pops out of his crashed ship where Jonathan and Martha Kent (GLENN FORD, PHYLLIS THAXTER) come upon him and realizing he’s not exactly from Kansas, adopt him, naming him Clark. We get to see a little of his Smallville High years being bullied before Pa Kent dies from a heart attack where Clark realizes all of his powers and abilities couldn’t save his father. Soon enough, Clark ventures on his own traveling to the North Pole setting up his Fortress of Solitude and then on to Metropolis landing a job at the Daily Planet and becomes almost immediately smitten with the strong-willed and tenacious Lois Lane (MARGOT KIDDER). 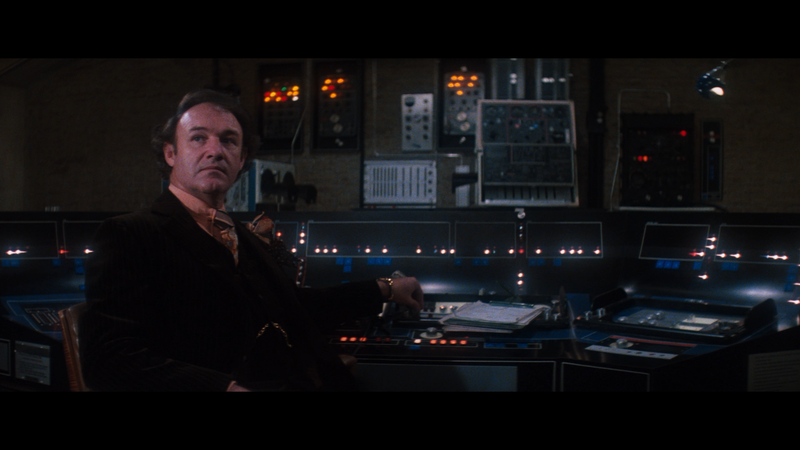 And every good superhero needs a super-villain, this in mad scientist/businessman – or something, not quite sure what in this movie – Lex Luthor (GENE HACKMAN) along with his dimwitted assistants Otis (NED BEATTY) and Ms. Teschmacher (VALERIE PERRINE), to help with his plan to turn worthless real estate into a gold mine by eliminating the California west coast using a hijacked missile to break it off from the San Andreas fault line… Makes sense, but given what Supes does at the end, not that insane. In any case, in Metropolis Clark donning his Superman persona saves Lois – and pilot – from a crashing chopper and now the world, or least region, knows of Superman gaining notoriety and doing his best to stop crime with a fun little montage stopping burglars, thieves, etc. 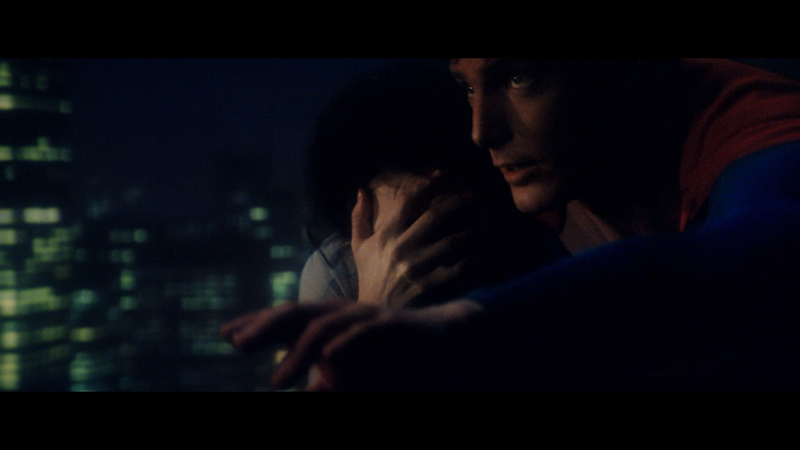 Lois notices and falls in love and eventually interviews Superman and getting the iconic flight over the city scene. Of course, he gains the notice of Luthor who, thanks to Lois’ article, that Superman cannot see through lead (seriously, why would he reveal that?) and also, somehow, gets a hold of a piece of Kryptonite – by brainstorming when the ship crashed and finding the meteorite – and lures Superman to his lair. Lois, and Jimmy, have to be in danger so they just so happen to be on the West Coast covering the story of the land grab and once Superman makes it out of his situation, he’s out to save the day, and mostly works… until that lame turning back time which actually angers me because it is so f’ing stupid and a cop out (I’ll ignore that it doesn’t make sense since there is a scene where Clark leaps out a window and instantly changes into his Superman outfit). Not going to say it ruins the film, but sure as hell doesn’t help it and to me makes the Pa Kent death in Man of Steel seem smart. 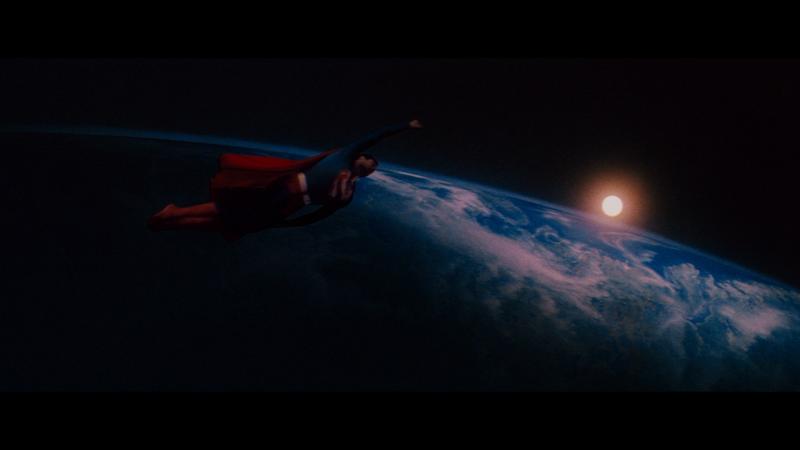 Superman: The Movie is still a great superhero movie in a time when they weren’t a nickel a dozen. Yes, it is rather dated not only in terms of its style but the tone which I’d guess today’s generation would find a bit too hokey, but that is one of the charms. 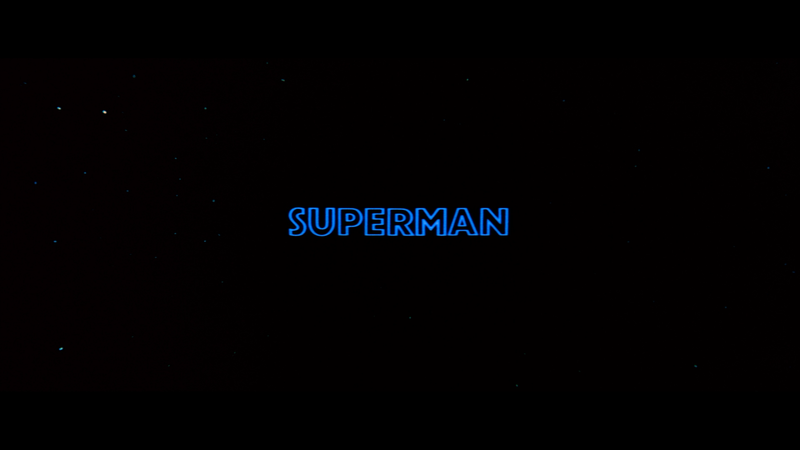 One of the best things about the movie, as the plot really gets ridiculous and I’m not a fan of Hackman’s Luthor and his slapstick sidekick, is Christopher Reeve who really embodied Superman so well; heck, even in the lesser Superman III and IV, he’s still pretty damn good even when the script failed him, though Reeve was partially responsible for the debacle that was The Quest for Peace. Audio Commentary – Producer Pierre Spengler and Executive Producer Ilya Salkind (available on both the 4K and Blu-ray discs). The Making of Superman: The Movie (51:50) might be an older featurette from 1980 but still pretty well made with some interviews with members of the cast and crew. This is well worth watching, especially if you’re a fan of the movie. Superman and the Mole-Men (58:05) is the 1951 film starring George Reeves. 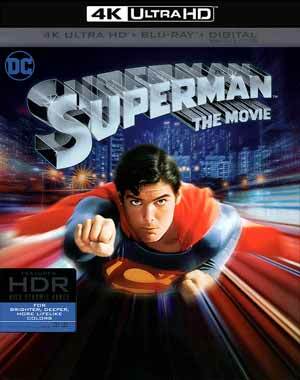 Superman: The Movie gets a good looking 2160p high-definition transfer, presented in its original 2.40 widescreen aspect ratio. Although I won’t say this is an amazing 4K transfer, I was relatively impressed with the decent detail and the bright colors that are brought out through the HDR. The reds and blues in Superman’s costume look fantastic as does the bright whites on Jor-El’s outfit in the opening sequence, though at times does appear a bit blown out. Otherwise, the other scenes pretty much seem in line with the Blu-ray, perhaps a bit sharper, though not by much. The movie gets an excellent upgrade. The original Blu-ray release came with a DTS-HD MA 5.1 which this one is accompanied with a newer Dolby Atmos track which sounded absolutely fantastic. Not only are the dialogue strong, not surprising, but the action scenes explode out of each available channel with great clarity as the LFE kicks on to add an extra measure of depth. Overall, Superman: The Movie is a special movie that perhaps the current generation might find a bit hokey in its innocence, but I think it still holds up pretty well, albeit I’m still not a big fan of some of the goofier moments, including the lame turning back time, which is admittedly a lame copout. This 4K UHD meanwhile offers good video and awesome audio to go along with an okay selection of bonus features, led by a well made 1980s documentary.